I love Ollie Ritchie’s wistful, rambling style. One of the comments says that the viewer feels like they are watching memories and that captures it perfectly. It made me feel like I was back in the energy of this magical town. As you'll be starting to realise if you read this page regularly, I love spotting little details as I walk around the city, things that others may not have noticed. Here are a few of my spots from New York. I was lucky enough to be working in New York last month. What a town! I had no idea how much I would love it. 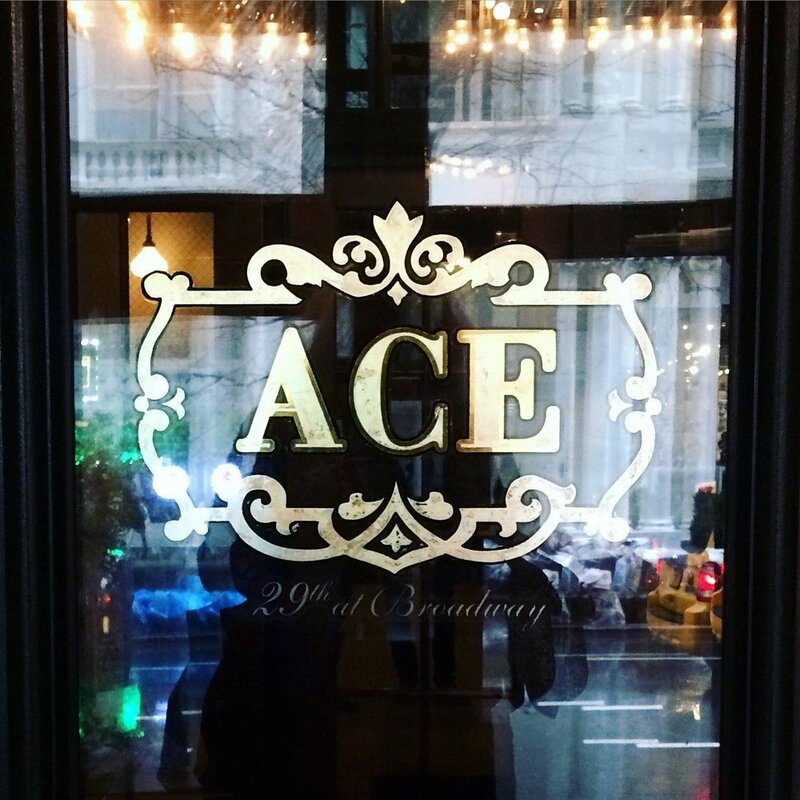 One of the places we visited was the Ace Hotel. I had read it was a place where writers, film makers and artists go for meetings and to work on their projects and sure enough the lobby was full of creative types chattering around MacBooks. I loved the feel of the hotel and all the little details in everything. It made me feel really inspired. "I knew a time was gone and it took me like ages, just to understand I was afraid to be a simple guy." I have travelled a fair amount in my life, for events that I have worked on and in the name of wanderlust. These days I find more and more that home is the best place to be but I hope this is just a phase and that I'll soon recapture the urge to explore. In the meantime, I have various things around my home that remind me of the far flung places I have been. This blanket is from magnificent Jaipur. Every single day it reminds me of the magic of the city and how it was an absolute assault on the senses in the best possible way. It takes me back to the tiny shop where the shop owners pulled out practically every blanket in the place trying to sell them to us. So wherever you go, buy a little reminder if you can, it doesn't have to be big, just a trinket that takes you back there and reminds you of the wonders of this beautiful world. And maybe this comfort blanket will spark just a little wanderlust in me and you.